crime and punishment | It's a Miracle! Post-mortem: A recent article in the New York Times on pressures facing school-leaving teenagers in India brought back my own personal memories of the Higher Secondary and various competitive examinations. Some things never change. Of course, it wasn’t all bad. What doesn’t kill you only makes you stronger, right? I mean, those of us that survived live fairly normal lives as long as we don’t miss therapy and take the green pill in the morning, the blue one in the afternoon, and the red one at night. Oh that, and we have to avoid bright light. Did I mention the back-aches and the arthritis? Not a big price to pay in order to enjoying the wonderful view from a cubicle. How to catch a killer. Murders happen all the time. As reported by the UN, there were at least 37,000 murders in India in 2002 making it at least one of the top two “killer nations” that year (since China did not openly disclose this sort of data). In addition to the reported numbers, there are death that go unreported, as well as deaths that aren’t definitively determined to result from homicide. How many of the reported murders actually get solved? I’m curious to know the numbers for India, but interestingly, in the United States, one of the most advanced nations on the planet in terms of forensic technology, the numbers aren’t stellar compared to what they were only a few decades ago. It is estimated that around 90% of murders in the United States were solved in the Sixties compared to about 65% nowadays. Clearly, improvements in technology and training have not been able to deter all criminals or bring them to justice. Now, I want to put aside these sobering thoughts and mention a murder case that actually did get solved. 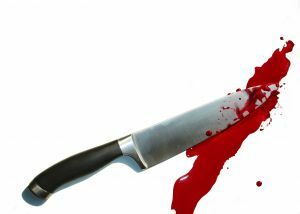 A body of a man was retrieved in a village in China, On examination, it was found that the man had been stabbed to death. The investigator, wanted to know more about the instrument used to stab the victim, so he obtained the carcass of a dead animal. By stabbing the carcass with various sharp instruments and comparing the wounds on the carcass to the that of the dead man, he was able to determine that the victim had been stabbed to death with a sickle. Having established the type of weapon that was used to commit the crime, the investigator set about to identify the criminal. Now, a sickle is a very common farming implement in many parts of the world. In those days, it was common in China too. The investigator decided to start the process of interrogation in the village. He asked each villager who owned a sickle to meet him for questioning. All the villagers who owned sickles obliged, and one was immediately apprehended. On further interrogation, this villager broke down and admitted that he had committed the murder. How did the investigator determine the identity of the killer? Although the killer had wiped the sickle clean, flies were attracted to only his sickle. The astute investigator had been able to connect the dots and to pursue his line of questioning with that incidental clue. By now, you may be wondering what was so special about the resolution of this particular case. Modern forensic entomologists use their knowledge of insects all the time to determine time and place of death. What is amazing is that the incident I recounted occurred in 1235 and is the first recorded case in forensic entomology. How to catch a spy. In the fog-of-war it is imperative to obtain actionable intelligence in a timely manner. Chanakya, prime minister to the first Maurya emperor Chandragupta, provided a detailed discussion on the use of spies in the defense of the realm in his magnum opus, Arthashastra. Similarly, in the Art of War, Sun Tzu mentions five classes of spies: 1) local spies who actually live in the territory of an enemy, 2) moles who are traitorous officials in the employment of the enemy, 3) double agents, who keep up the deceptive appearance of being a spy for the enemy, 4) doomed spies, who are sent with the purpose of providing false information to the enemy, and 5) surviving spies who successfully bring back information from enemy territory. 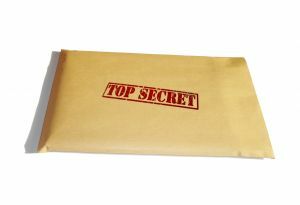 In the height of the Cold War the intelligence agencies of the two superpowers played a constant game of cat-and-mouse and the term surviving spy became something of a euphemism. Soviet agents tried to utilize US sources to gain vital information on American national security. Similarly, American agents entered the Soviet Union with hopes of being able to report back to their home bases. The American spies underwent extensive training to fit into Soviet settings. They knew how to speak perfect Russian and dress like the Russians. They had all the right papers including fake Soviet passports. On paper, it seemed like the perfect plan. In reality, hundreds of the American spies did end up getting caught. How did the Soviets successfully pick out the American spies? Simple artifacts found in the KGB museum in Moscow point to the answer. The fake Soviet passports were identical to the genuine ones in every way, save one important detail. The staples. The pages of the fake passports found on the American spies were held together by staples made out of stainless steel and therefore did not corrode, while the genuine Soviet ones rusted. By the simple test of adding a drop of water to the stapled portion of the passport and observing the next day, the Soviets were able to pick out the forgeries. One seemingly minor detail turned out to be the undoing for hundreds of intelligence agents. Le diable est dans les détails. Details, details, details. No machine can do the job of a dedicated analyst. Technology can aid in investigation, but cannot replace astute observation.